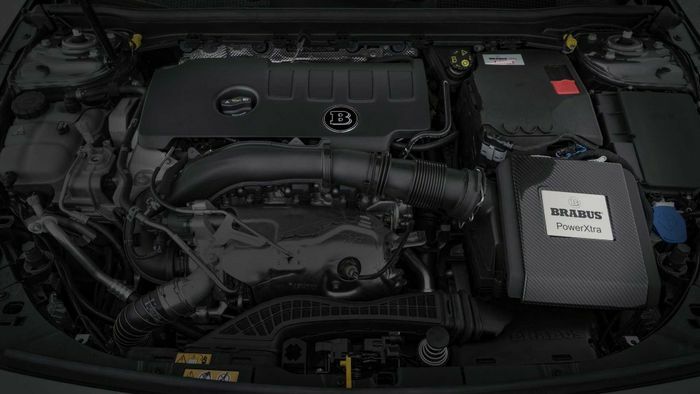 Mercedes-tuner Brabus has just announced a huge list of upgrades for the latest A250, from power under the bonnet to Alcantara inside the cabin. Let’s start at the juicy end with power and torque figures. The ‘PowerXtra B25 S’ kit – for both the front- and the four-wheel drive A250 – adds a handy 46bhp and 59lb ft, taking the totals to 266bhp and 317lb ft respectively. 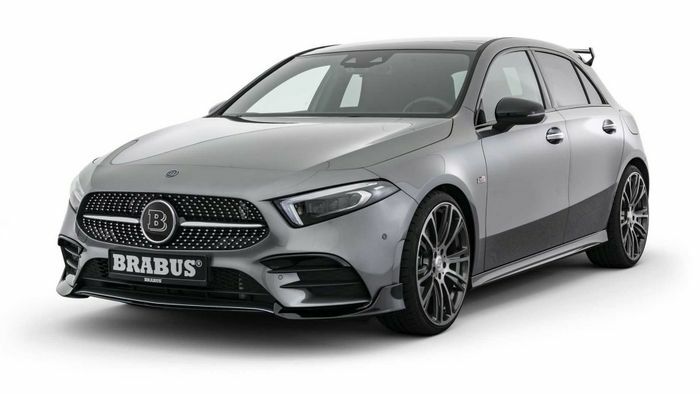 That leaves the Brabus A250 36bhp down on the official A35, but the straight-laced Mercedes only coughs up 295lb ft – 22lb ft shy of the Brabus’ output. Let’s be honest, though: they should be very evenly matched on the road. The Brabus car will hit a limited 155mph just like the A35. Performance depends on spec. In front-wheel drive the car takes 5.9 seconds to sprint from rest to 62mph, but with 4Matic four-wheel drive we’d expect it to get a lot closer to the A35’s 4.7-second score. 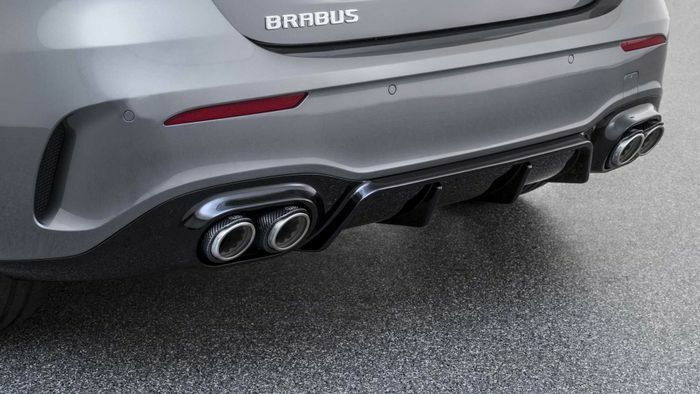 There are Brabus-designed lower bumpers that bolt onto the existing Mercedes furniture, a four-exit exhaust with Brabus tips and the option to upgrade that to a valve-controlled setup with more noise (or less). 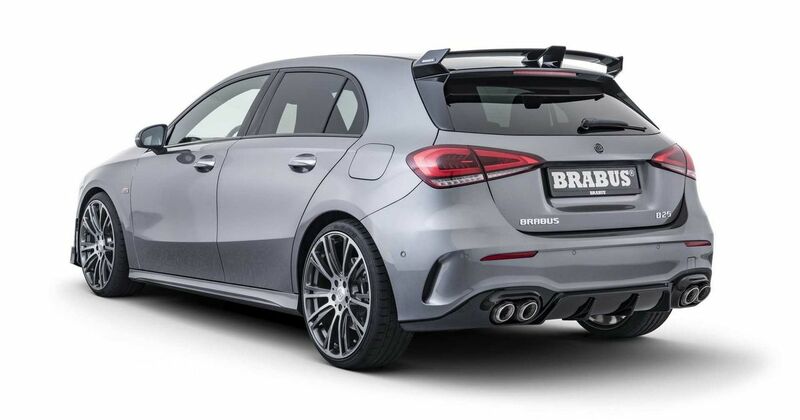 These aren’t cheap, though; adding just the bumpers, exhausts and power upgrades totals over €8000, with Brabus 18-20-inch wheels adding anything up to a further €1920 per set – and that’s not including tyre pressure sensors, upgraded Brabus aluminium centre caps, Brabus valve caps or wheel bolt covers. On the inside you can appoint your once-standard A250 with Brabus shift paddles, Brabus floor mats and even a Brabus boot protector. The passenger area is all leather and Alcantara with a wide choice of colours, designs and quantities. Brabus can simply re-trim the standard Mercedes leathers or go all-out and clothe the whole interior space with your chosen materials, colours, stitching designs and more. Availability begins now. Clearly Brabus will need the car for some time to complete all the desired changes and to ring-up all the zeroes on the till. In related news, the company is also developing power boosts for diesel A-Classes.